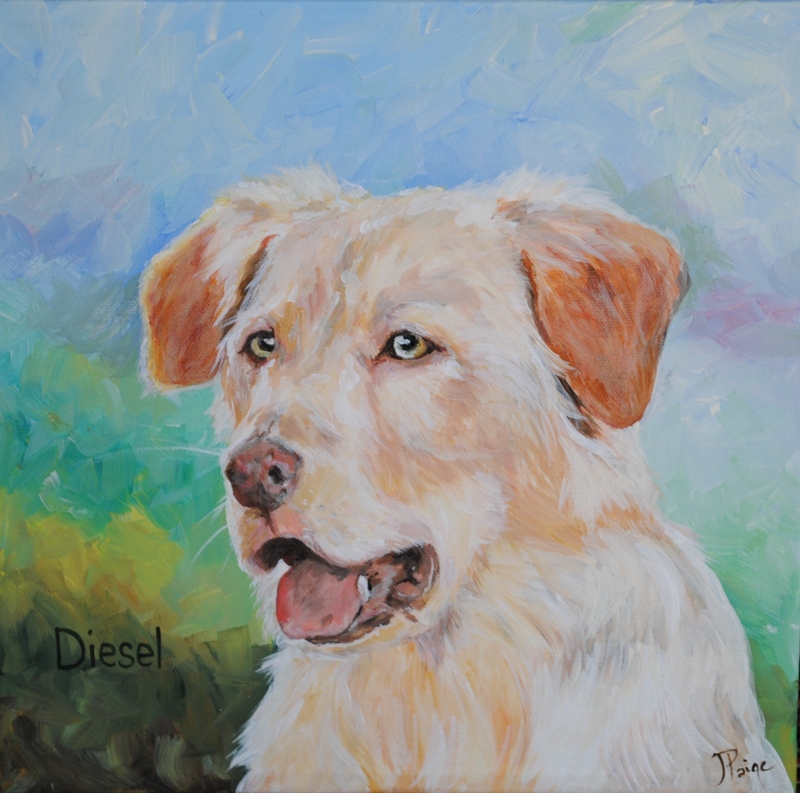 Painting this beautiful dog was bittersweet, from my understanding he sadly chased his last delivery truck out of the drive. His free spirit could not apparently be kept in any sort of enclosure and he always escaped. I thought it was a very kind gesture of the girl to have this done for the owners! I hope they treasure it.